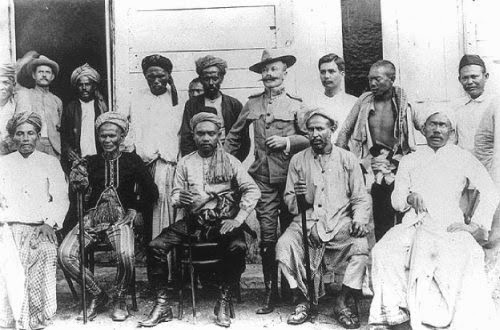 Mindanao Sultan Jamal ul-Kiram (seated at center), with his chiefs. They are holding knob sticks as the sign of their rank. I have additional thoughts I wish to share with you. Historically, what is now called Philippines in the period 600 AD - 1300 AD is part of geopolitical area called Tanah Melayu or Malay Lands under or allied with the Malay Shri Vijaya empire based at Palembang, Sumaterah, now part of Indonesia. What is now called Philippines is a groupings of Kingdoms or Rajahnates. Central of this grouping of kingdoms is the Uranen Kingdoms. The people in these Kingdoms are called Iranun. Iranun Kingdom was centered in what is now present Lanao provinces in Mindanao. It was said that before the Spanish conquest of Visyas and Luzon on the Philippines, Mindanao was never conquered by the Spanish empire in its 377 years of colonial occupation, kingdoms in what is now Philippines is peopled by Iranuns and only broken down into various tribes during colonial occupations to divide and rule. Historically Iranun are skilled sailors and fierce warriors that Spain and America was not able to subdue Mindanao during its colonial occupation. In 1515 a Shariff from Johor, now part of Malaysia, arrived in Mindanao and began Islamization, and married to Iranun and thus the present Muslim family in Mindanao come about. I am wondering about the word Uranen, Ir-anun, Bul-Anun. I am thinking that word Uranen is composed of two words combined together the word UR and ANNEN wich may have come from the word ANNUN. And if it is both a noun UR being place and ANNEN or ANNUN being people it would translate into PEOPLE OF UR. I was reading ancient history about the kingdom of UR a port city in what is now Iraque (aque is an Iranun word which mean friend) and it flash to my mind that an Iranun in the Philippines are people from UR Kingdom, what you think Madame Linsley. and in fact these people, or some of them belong to royalty; claimed they are descendants of Abraham or related to Abraham and even to Adam. The Vijaya empire was ethnically Kushite. "Kushite" is a general label for many peoples whose ancestors lived in prehistoric times in the Upper Nile-Lake Chad area.The Kushites spread from the Nile Valley into Ur of Mesopotamia and into the Tarum Valley of Southern China. These people were great warriors, sea travelers, astronomers, pyramid builder, and mining experts. They mummified their dead rulers. The Kushan-Yuezhi of Central Asia called themselves Visha or the Vijaya. They are Kushites also. They spread through Central Asia, from around 180 BC to 30 AD. Some Vijaya went to Madagascar, Borneo, and Sulawesi in Indonesia. Your family is probably part of this group of Kushite Vijaya. They were famous as rice merchants, sea travelers, and scribes. 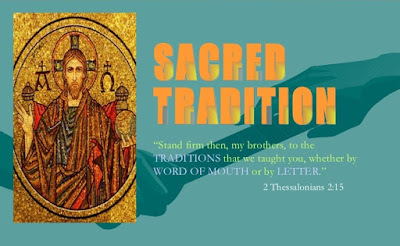 It appears that there were two ruling houses that intermarried, but at some point the two groups separated. Annen or Annun does mean people, but it also is a reference to a Nilotic people of very ancient genetic lineage. They are called Ainu or Annu. They spread across the earth from the Nile-Lake chad area. They are a "first empire" people. Some live today in Western China. Some Ainu live on the islands of Hokkaido and Okinawa, and some live in the Hudson Bay area of Eastern Canada. Abraham ancestors were Ainu. The Ainu spread out of Africa before the Kushites moved into Central Asia. Bul-Anun means kingdom or territory of the Ainu, the same as Bul-Gharia (Bulgaria) means kingdom or territory of the Ghar/Gur/Gurjar. Best wishes to you in the pursuit of your ancestry! thank you miss linsley for such information but i have question?? Gujjar/Gurjar/Gojar are living in Pakistan, India and Afghanistan. our population aprox. 400 million in these countries, if we migrated from Africa as per your research, how we build thousands of cities and villages in sub continent with the name of gujjar like gujrat, gujranwala gojar khan etc. as per research of rana ali hassan chohan, shri ram chander was the first kushtie who use this title. Gurjar is Sanskrit word which mean great warrior. please guide me on this issue??? Yes! They were known for their skill in hunting and war. The root -gr- refers to ancient tradesmen and traders who moved from place to place. The root is found in many languages. In ancient Akkadian gurguri refers to metal workers or copper smiths. In Somali Oromo gurguru means to sell (gurgurtaa = sale, gurguraa = seller). In Somali "gur" refers to collecting something and gurgure means one who collects and keeps collecting. The Gurgure clan of the Somali Dir refers to traders who collect wares and resale them. Early Muslim merchants or traders were called Gur or Gurjars. One of the items they sold were swords for ceremonies and for war.